El Cid was a leader who gained fame by taking the city of Valencia from the Spanish Muslims back in da day. In our current political state around the world, is El Cid a hero or a villain? 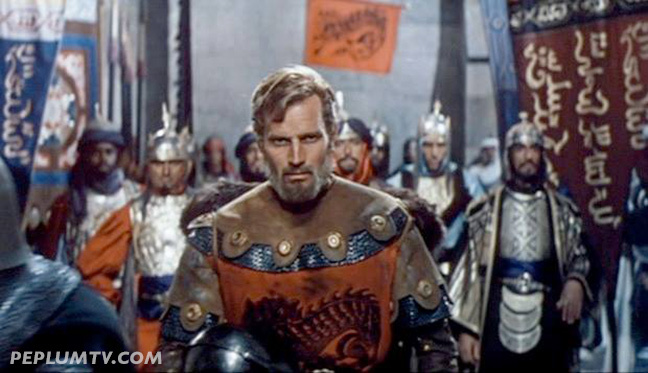 Charlton Heston always delivered good performances in his films. The forthcoming "Ben-Hur" will probably be inferior to William Wyler's 1959 classic because I doubt if its male lead will measure up to the standard set by Charlton Heston. There were times when El Cid actually fought on the side of Muslims when he was out of favor with King Alfonso. He later returned to fight for the Christian cause. After capturing Valencia in 1094 he established an independent principality, which he ruled in a tolerant and pluralistic manner.